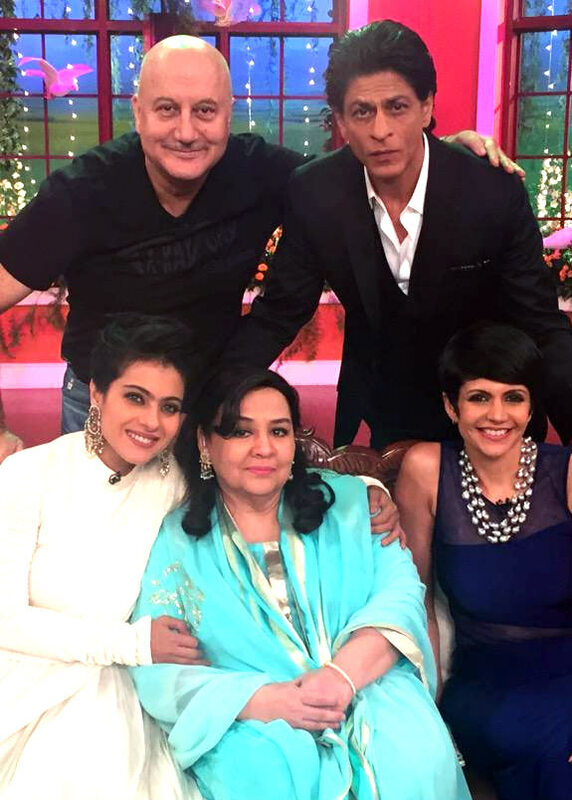 Image: Anupam Kher, Shah Rukh Khan, Mandira Bedi, Farida Jalal and Kajol. Shah Rukh Khan, Kajol, Anupam Kher, Farida Jalal and Mandira Bedi recently visited the sets of the hit television show Comedy Nights With Kapil to celebrate Dilwale Dulhania Le Jayenge's 1,000 weeks at the box office. The trailer of Varun Dhawan's next film Badlapur is out and celebrities turned to Twitter to praise it. The film stars Varun Dhawan, Nawazuddin Siddiqui, Huma Qureshi, Yami Gautam, Divya Dutta and Radhika Apte. Image: Renuka Shahane and Mahesh Thakur on the sets of Itna Karo Na Mujhe Pyar. 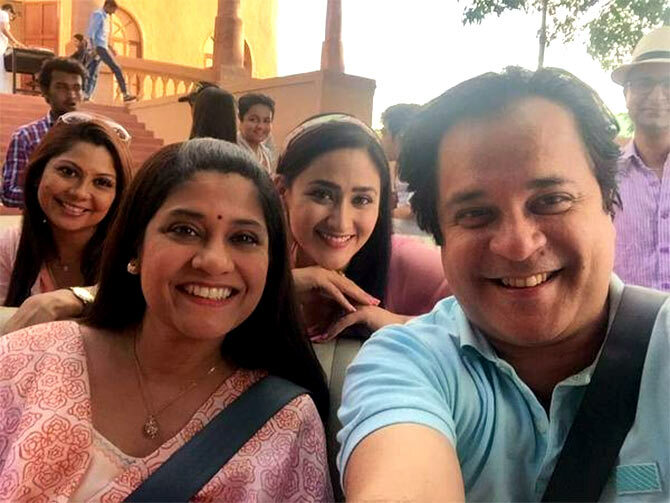 Renuka Shahane, who made a comeback to television with Ekta Kapoor's latest show Itna Karo Na Mujhe Pyar, has signed a new show. 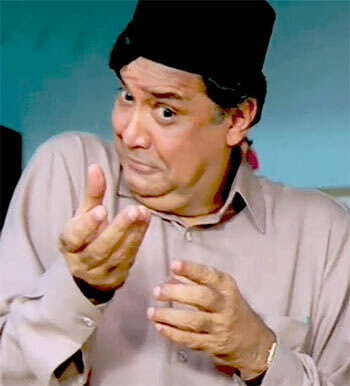 Boman Irani, who celebrates his birthday on December 2, took to Twitter to thank his well-wishers. 'Sitting and reading all your Bday wishes to Mom, she wants to know who wrote every tweet. Don't know what to say, so I say 'all are friends',' he wrote. Boman will be next seen in The Legend of Michael Mishra, scheduled to release on March 20. 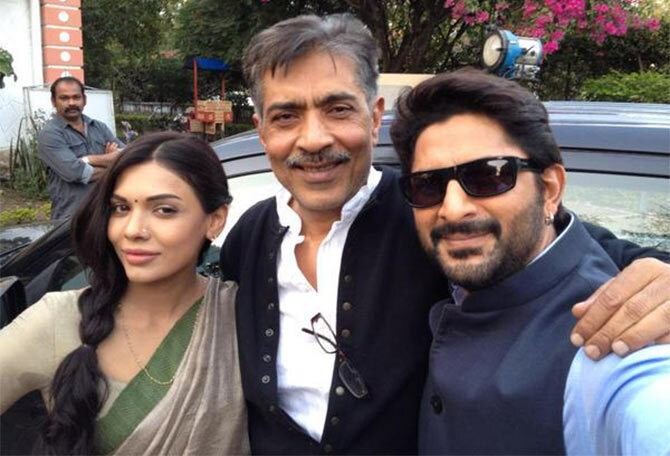 Image: Sara Loren, Prakash Jha and Arshad Warsi on the sets of Fraud Saiyyan. Pakistani actress Sara Loren is currently shooting for Prakash Jha's upcoming production Fraud Saiyyan in Bhopal. Directed by Sourabh Shrivastava, the comedy will also star Arshad Warsi and Saurabh Shukla.